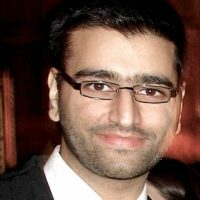 Dr. Rahim Nobahar (b. 1961) is a Shiite cleric. 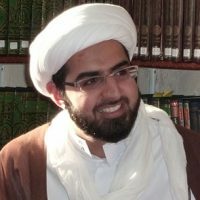 He holds the highest degree of Islamic Jurisprudence, Ijtihad, from the seminaries (hawzah) in Qom, Iran. 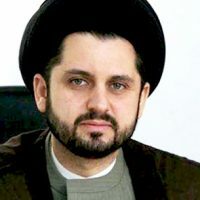 From 1980-2001 he attended religious seminaries (hawzah) in Qom, Iran, studying Arabic Literature, Logic, Theology, Islamic Philosophy, Islamic Hermeneutics, Jurisprudence, and Qur’anic Studies, subjects which he later taught for several years. 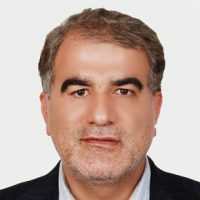 In addition he obtained his Ph.D. in Criminal Law and Criminology from Shahid Beheshti University Law School in Tehran, Iran. He has two JD degrees from Mofid University, in Law and Criminal Law and Criminology. 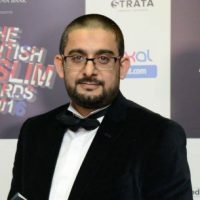 From 1994-2000, he taught courses including Islamic Law, Qur’anic Exegesis, and Philosophy of Law for undergraduate and graduate students in Mofid University. 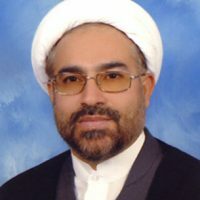 He has served as professor at Shahid Beheshti University Law School in Tehran, Iran, since 2001teaching Islamic studies courses and philosophy of Law for graduate and undergraduate students. 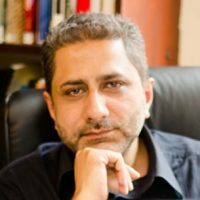 Dr. Nobahar has published seven books and more than 30 academic articles in Islamic studies. He has served on the boards of, and presented at, many international and national academic conferences. He founded the International Conference on Human Rights and Dialogue of Civilizations in 2001. The Goals of Punishments for Sexual Crimes: An Islamic Perspective. Qom: Academy of Islamic Sciences and Cultures, 2011 and 2012. (Rewarded Book and chosen among the best books of the Seminary of Qom). 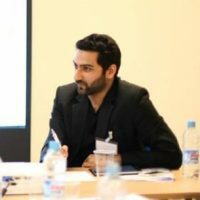 The Principle of Adjudicating Punishments: An Analysis of the Right to a Fair Trial in Islamic Jurisprudence. Tehran: Shahre-Danesh Institute of Law, 2010. Protection of Public and Private Spheres in Criminal Law. Tehran: Jungle Publications, 2008. The Piety of Umm Dawood. Qom: Foundation for Mosque Development, 1997. The House of the Friend (Kooy-e Doost), Tehran: Center for History and Islamic Thought, 1997. Iʿtikāf: A Mohammedan Tradition. Tehran: Sazeman-e Tablighat-e Islami, 1996 & 1997. The Methods of Developing a Liturgical (salat) Culture. Tehran: Center for Liturgy, 1996. A Sample Mosque. Tehran: Center for Liturgy, Tehran,1995. Mosque Exteriors, 2 volumes. Qom, 1993 & 1994. “Criminal Law is the last Resort, Criminal Law Doctrines”, No. 1, September 2011. “Islamic Teachings and the Relation between Public and Private Spheres” in: Karim Duglas Crow (ed. ), Islam, Cultural Transformation, and the Re-emergence of Falsafeh, Iranian Institute of Philosophy, Tehran, 2009. “Islamic Teachings and Public and Private Spheres”, in: Human Rights in Contemporary World: Viewpoints of Iranian Lawyers and Islamic Scholars: on The Occasion of the 60th Anniversary of Universal Declaration of Human Rights, Iranian Islamic Human Rights Commission, 2008, Tehran. 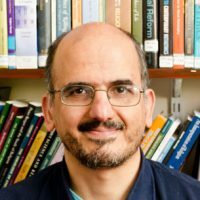 “Is Panderism among Hudood(prescribed Punishments)?” In: Borhan va Erfan, Academic Journal of Azad University, Branch of Science and Research, Tehran, No.7, Spring 2006. “Mosque: a State Institute or a NGO?” In: Ketabe Niyaayesh, No. 32, December 2010, Tehran. 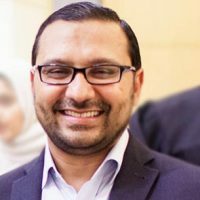 “The Rule of Unjust Enrichment in Islam: Interpretation of the verse of Finance in Holy Qur’an(Chapter 4: 29)”, in Essays in Honor of Professor Amir Hossain Fakhari. Enclosed with Research Journal of the Faculty of Law, Shahid Beheshti University, No.52, Fall and Winter February 2011. “The Rule of Prohibiting Making People Disgusted with Religion,” in Essays in Honor of Professor Mahdi Shahidi. Enclosed with Research Journal of the Faculty of Law, Shahid Beheshti University, No.42, 2006. 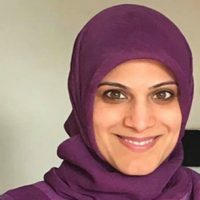 “Islamic Approaches to the Trafficking of Women, With a Review of International and Iranian Regulations,” Quarterly Research Journal, Faculty of Humanities: Tarbiat Modarres University, 2006. 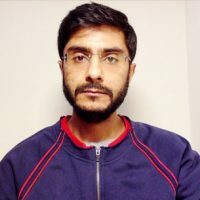 “International Declaration on Human Genetic Data: Concerns, Approaches, and Compatibilities with Islamic Perspectives,” Nameh-Ye Mofid: Research Journal of Mofid University, No. 46, 2005. “The Obligation to Give Witness in Criminal Proceedings: A Perspective from Islamic Jurisprudence,” Research Journal of the Faculty of Law, Shahid Beheshti University, .No. 40, 2004. “Towards More Humane Punishments,” in the proceedings of International Conference on Human Rights and Dialogue of Civilizations. Qom: Mofid University and United Nations, 2002. “The Philosophy of Punishment for Sexual Crimes in Islamic Penal Law,” Nameh-Ye Mofid: Research Journal of Mofid University, No. 23, 2000. “Criminal Law, Crimes, and Punishments in the Old Testament (Torah),” Nameh-Ye Mofid: Research Journal of Mofid University, No. 17, 1999. “Mosque Management in Islamic Government.” Vaghf Mirase Javdan, No. 23 & 24, 1998 & 1999. “The Guardianship of the Jurist: Above the Law or Within the Rule of Law?”, in Proceedings of Conference on Imam Khomeini and the Idea of Islamic Government. Qom: 1997. “Mosque Architecture from the Perspective of Islamic Texts,” in The Conference on Mosque Architecture: Past, Present and Future. Isfahan: Art University, 1997.